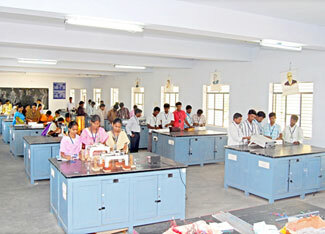 In our college, all laboratories are designed in a sophisticated manner. 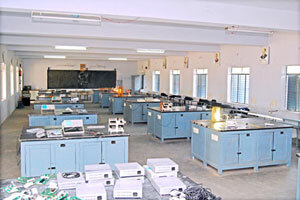 They are spacious and have enough resources to do the lab experiments for the students. The college is facilitated with a well-equipped, highly furnished, fully air conditioned computer lab enriched with adequate software facility. Electronics lab provides the platform to understand the basic practical concepts of electronics and electronic devices .This lab is well equipped with instruments like Dual trace CRO, Function generator, Regulated power supplies, Digital voltmeters, miltimeters, etc in the specified and required ranges. Analog and digital modulation techniques using AM transmitter and receiver, FM transmitter and receiver kit , ASK, PSK, FSK, Time Division Multiplexing, Frequency Division Multiplexing kits simulation using MATLAB. The process of transferring information from one point to another point is called Communication. It can be done effectively by implementing technique such as Analog & Digital modulation schemes. To demonstrate modulation techniques, the communication lab is well equipped with amplitude, frequency, phase modulation kits and Amplitude Shift Keying, Frequency Shift Keying kits and CROs. Digital Signal Processing Lab Digital Signal Processing Lab is equipped with inter dual core processor systems with, Software tool boxes such as signal processing , filter design, Communication, Control system Simulink and ORCAD Software with PSPICE, LAYOUT, CAPTURE. Microprocessor Lab is well equipped with instruments like microprocessor kits - 8085,8086; Micro controller kit- 8031,8051, Interfacing Devices - ADC,DAC,Stepper motor controller, Temperature controller, Traffic light Controller,PC based controller-DC servo motor, Temperature controller, Traffic light controller,PC based controller- DC servomotor ,Temperature controller, LVDT position controller, ....etc to carry out experiments on microprocessor lab. The laboratory is equipped with various equipments like Temperature controller, Traffic Light controller, Hard disk controller, Floppy disk controller, A.C. & D.C. Motor controller, Keyboard & Display controller, DMA, Students can perform various interfacing operations with these equiments using Microprocessor, Micro controller and PC programming. Students are trained to get advance programming knowledge on 8085, 8086 microprocessor and 8031, 8051 Micro controller trainer kits. Also, Students are encouraged to do PC Based, Microprocessor Based, Micro controller Based Mini projects. Adequate Pattern making tools, cutting accessories & serving machines are available for dress making. Various Pattern trails are carried out for Basic & Creative styles of garments. Variety of sewing machines are available like SNLS (Manual & Power), three thread over lock machine and fashion maker, etc. Here the students are well trained for different dress making styles. Students are motivated for the creation of fashionable garments. Practical experience is the great excellence of our fashion designing students. Required chemicals and dyes are available for coloring & printing process. Printing Equipments and accessories like screen, block (wood, nail), and wax. Auto wrap reel machine, Lea strength testing machine, yarn strength machine, yarn twist testing machine, Fabric Burst strength testing machine, Fabric shrinkage plate and yarn count finding machines are available. 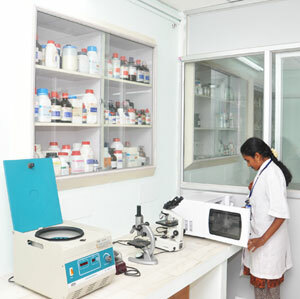 The department of bio technology has all the required facilities with separate laboratories. The lab can access 30 students with all accessible practical requirements. The state of art in tissue culture labs. 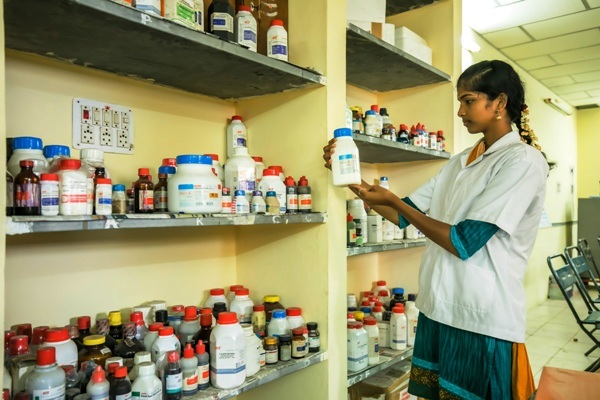 Labs are provide with sufficient practical requirements and are in process successfully. State of art in tissue culture labs. 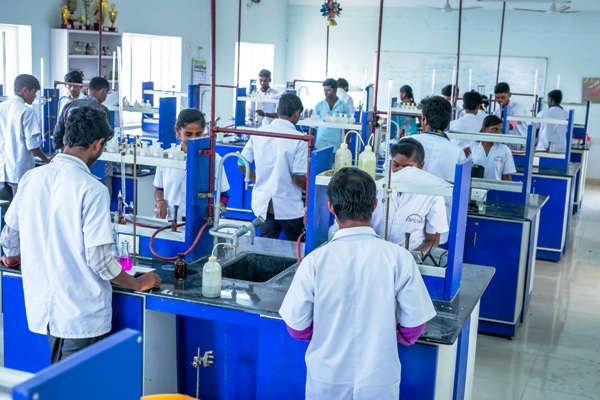 To bring out meritorious and versatile students and to develop the intellectual capacity, critical thinking and problem solving ability of the students the well equipped chemistry lab caters to their thirst for knowledge. Vacuum pump used to filtering in gravimetric analysis. Sufficient and quality glass wares and chemicals are used. High quality chemicals are used in organic analysis and preparation.